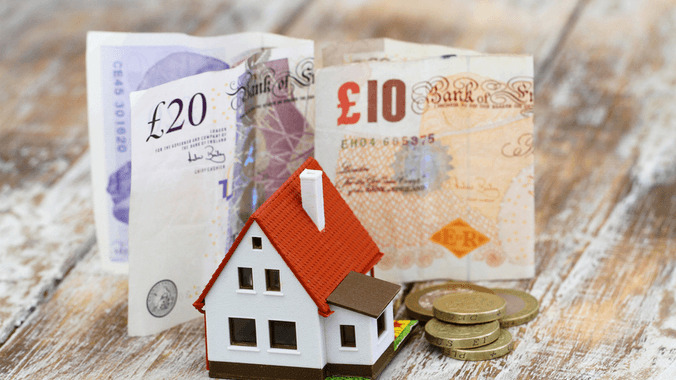 Contractors looking for a mortgage who have been disappointed with the response from their high street bank branch will find that some mainstream lenders, alongside some less well known names, actively seek out contractor business by offering competitive deals. You can’t just walk into any high street branch and get access to contractor-specific mortgages – the banks acknowledge that their mortgage teams don’t have the specialist knowledge or skills required to evaluate the lending risk. As a result, lenders will only deal with specialist brokers and financial advisers who understand contractors and who can package up their information and work directly with underwriters to ensure contractors benefit from the most competitive products. Halifax is the largest lender in the UK by mortgage market share and also one of the most contractor-friendly that he works with: We’ve had to work hard with them over the years to get Halifax to this stage, but the rates are very good as well as being flexible. Halifax like what many other lenders don’t like. They will accept ‘day one’ contractors who have just started their contracting careers, and will also take on contractors from overseas who don’t have permanent residency in the UK. Many contractors not only don’t fit the employee profile – they may also deviate from standard contracting criteria: Contractors not from the North of England and Scotland will be less familiar with the Clydesdale brand, but it is a major lender. Clydesdale Bank stands out from most other lenders because it will deviate from the standard lending criteria as long as the financial adviser can build a strong business case on behalf of the contractor. So, for example Clydesdale usually requires contractors to have two years of experience, but if the broker can demonstrate that the contractor is really good at what they do, the bank will accept less experience. This lender’s offset mortgages are also a very good draw. Although remember, you cannot use company money to offset your mortgage. Another less well known brand is Kensington, which was a major player in sub-prime lending before the credit crunch: The main reason contractor specialist financial advisers work with this lender is because they accept smaller contractor incomes of less than £75,000 per year. Kensington also has a tolerance towards bad credit, defaults, county court judgements (CCJs) and missed payments. It withdrew from UK lending for a while but came back with a refreshed and attractive offering. Kensington is also a good choice for self-employed sole traders and freelancers who have multiple simultaneous clients, particularly if they only have one year’s trading history. The Nationwide Building Society does not have products suitable for limited company contractors but does offer solutions for umbrella company contractors and those on agency payrolls. The Nationwide has a mortgage product that is derived from their standard offer for employees but that has been adapted for umbrella company contractors. This allows for uniquely contracting variations such as offsetting income against expenses, plus the lender also has no minimum income levels. Metro Bank offers contract-based underwriting, which means it bases a contractor’s ability to afford a mortgage and the amount it will loan on a multiple of the contract rate. It does the same with its buy-to-let proposition, and also offers semi-commercial loans so a contractor could own several properties in a single building, which most lenders don’t like. Metro Bank also accepts most tax structures, such as umbrella companies and agency payroll as well as limited company, and is happy with most occupations as long as the borrower is a ‘professional’ contractor. There are multiple lenders that actively compete for contractors’ mortgage business because they recognise that the contracting market offers them high value and relatively low risk. However, none of these lenders deal direct – they only deal with contractor specialist financial advisers, so contractors seeking mortgage offers should engage with a specialist broker at least six months before they plan to search for a new property.